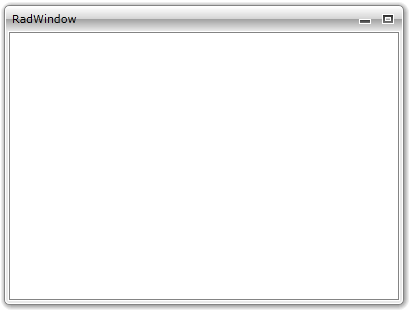 The RadWindow can be closed by either clicking on its 'Close' button at the top-right corner or by calling the Close() method of the RadWindow instance. When the RadWindow gets closed the Closed event is raised. More about events can be found here. 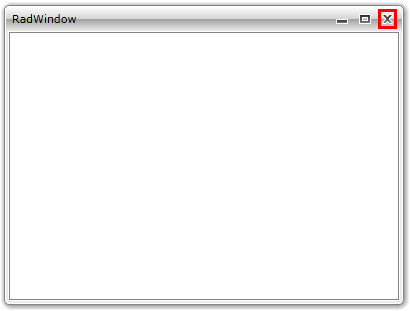 To disable the closing of the RadWindow via the UI you have to set the CanClose property to False. The only scenario, where you can add content to the RadWindow at design-time, is when the RadWindow represents an entire user control. To learn more about that read here.